The most refreshing and unique outing! Spoil yourself from A to Z. Two activities on just one day! Time to chat and having fun! Indoor skydiving is an unforgettable and unique experience that you have to experience yourself to believe it! 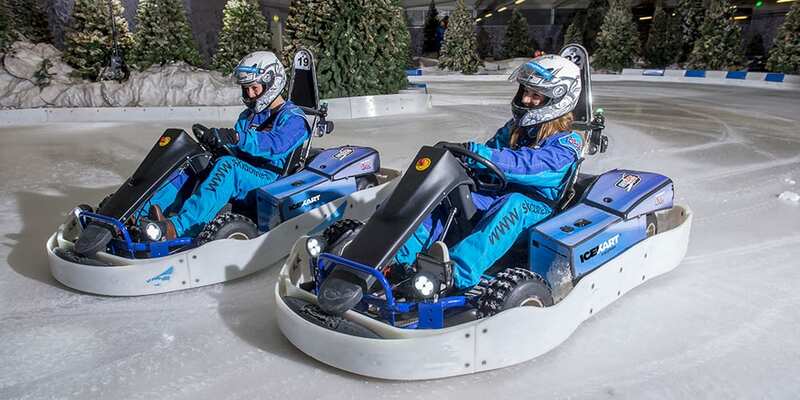 Now you have the opportunity to combine this with icekarting with the Fly & Drift package! What is the Fly & Drift package? You will first drift on the icetrack before you fly through the wind tunnel. With the completely arranged package you can spend a long time with colleagues. The Fly & Drift package is for groups starting from 10 people and can be booked for € 149.50 per person. ✔ Reception at Bravo24 with 1 consumption per person. ✔ 3 indoor skydive sessions per person. ✔ Dinner in Bravo24 including 2 consumptions per person.